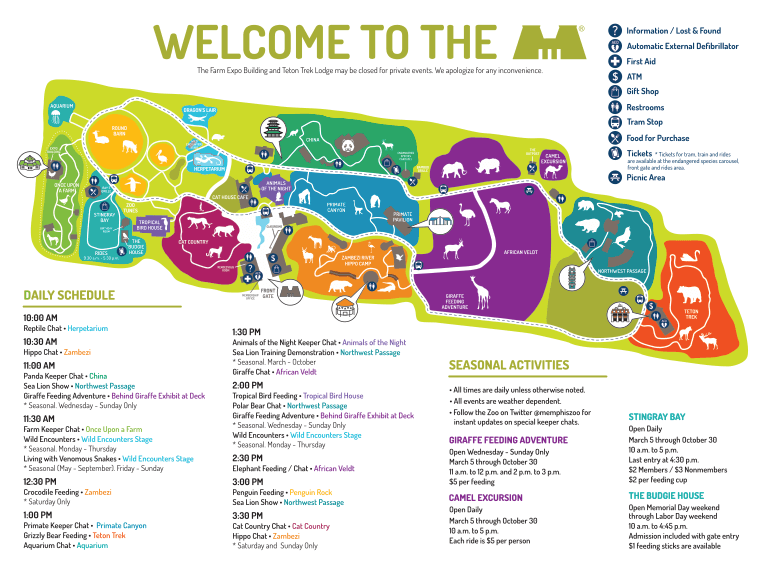 Use this handy map to guide you straight to the Memphis Zoo, nestled inside Overton Park in the heart of Midtown Memphis. If you're using your own GPS, use the following address. In order to better accommodate our guests and parking on busy weekends, Memphis Zoo will open a Pedestrian Gate on North Parkway on Saturdays and Sundays between March 3 –June 15 from 10 a.m.- 6:00 p.m. Free parking is available along both sides of North Parkway between N. McLean Blvd and University Street. Should there be inclement weather and parking is not an issue, this gate may not be open. Two bus lines run by the Memphis Zoo, creating easy convenience for Zoo Guests. Bus 50 runs along Poplar, while Bus 53 runs along Summer.